There’s a line from a pop-punk song released back in 2000 that rails against the modern era of political correctness, arguing that “you couldn’t make a Mel Brooks movie today.” And even though Brooks himself has agreed with that sentiment, it’s difficult not to draw comparisons between the brilliant comedic director’s 1974 classic Blazing Saddles and Seth MacFarlane’s new comedy, A Million Ways To Die In The West. Much like Blazing Saddles, which managed to be both a parody of and homage to classic Westerns, A Million Ways To Die In the West hits all the traditional notes of a frontier adventure, from its opening sequence of scenic prairie vistas over a rousing musical number to its climactic gunfight at high noon. And in that same grand tradition of parodies, the story runs secondary to the opportunity for comedy, with MacFarlane playing a poor sheep-farmer who attempts to win back the love of his life from the wealthy proprietor of the local moustachery (Neil Patrick Harris) with the help of a beautiful newcomer in town (Charlize Theron). A Million Ways To Die fluctuates between self-aware insight and outright (and often literal) toilet humor. Sure, it’s not the most layered narrative, but it serves its purpose: setting up the steady stream of jokes that propel the film along. Make no mistake: This isn’t a film for audiences hoping to watch a thought-provoking, intellectual comedy that explores the nihilism of the human condition in the late 19th century. 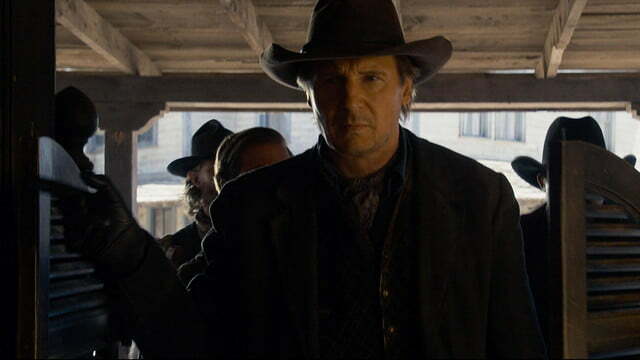 A Million Ways To Die In The West shares more in common with the minute-long scene of cowpokes passing gas in Blazing Saddles than any other scene of any Western ever filmed – and under MacFarlane’s guidance, that’s a good quality for the film to have. 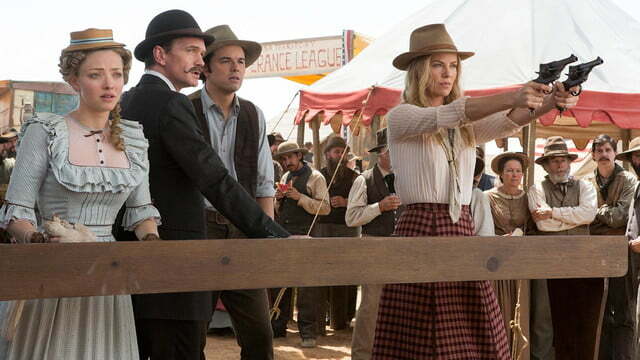 In his role as the leading man, MacFarlane does an impressive job of holding his own when sharing the screen with more accomplished actors like Theron and Liam Neeson (who plays a black-hatted bandit with a notoriously fast draw), and he has surprisingly good chemistry with Oscar-winner Theron. While the film’s writer, director, producer, and star does his best to carry the film, his supporting cast seems more than up to lending a shoulder. Sarah Silverman and Giovanni Ribisi in particular have a fun subplot as a raunchy prostitute and her naïvely sweet boyfriend, respectively, and one can’t help feeling like the film could’ve benefitted from more of them in it. 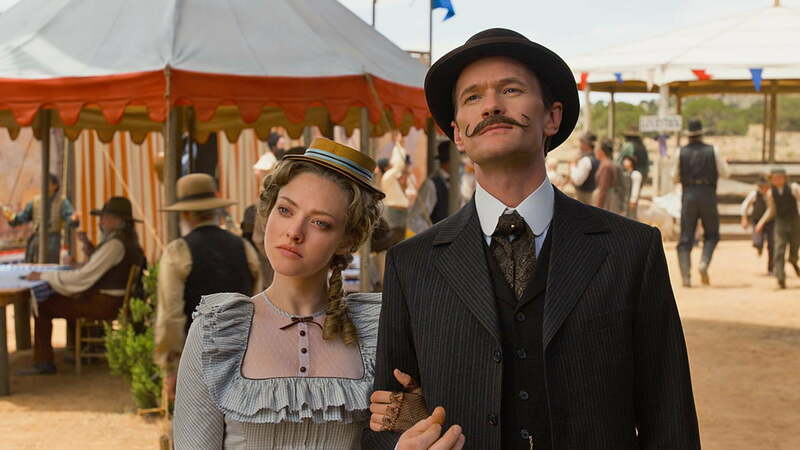 Similarly, Neil Patrick Harris’ mustachioed foil offers a nice opportunity for the multitalented actor to showcase his singing and dancing skills along with his comedic chops – of which anyone familiar with his recent projects should already be well aware. This isn’t a film for audiences hoping to watch a thought-provoking, intellectual comedy. As one might expect from MacFarlane, the film is also well-stocked with celebrity cameos, including one particularly unexpected – but very, very funny – appearance by a fan-favorite character from a popular ’80s franchise. 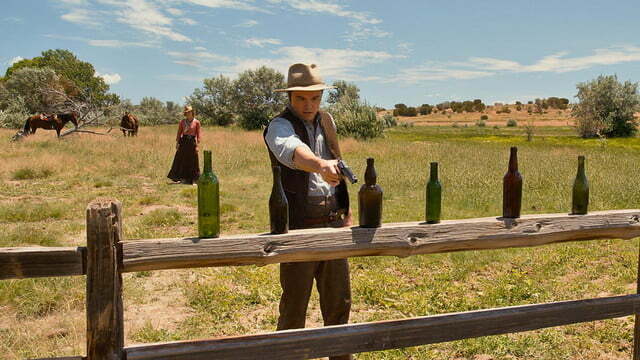 If there’s a nit to pick with A Million Ways To Die In The West, it’s the feeling that MacFarlane may actually be playing it too safe with the first film for which he’s both the creative force behind the camera and the face in front of the camera. The edgiest jokes that are most likely to offend all too often become the territory of supporting characters played by Silverman and Theron rather than MacFarlane, and the shift is conspicuous for anyone accustomed to his carefree irreverence in the Family Guy television series. It’s a curious shift away from the comfort zone his fans may have with him, but it doesn’t detract from the overall product. Given all of the hurried, direct-to-video garbage that has dominated the parody genre in recent years, it’s refreshing to finally see a film that handles all of the cliches, tropes, and occasionally beloved traditions of a genre with some wit and raw humor rather than the sanitized, surveyed, and all-too-targeted approach that has become the norm. 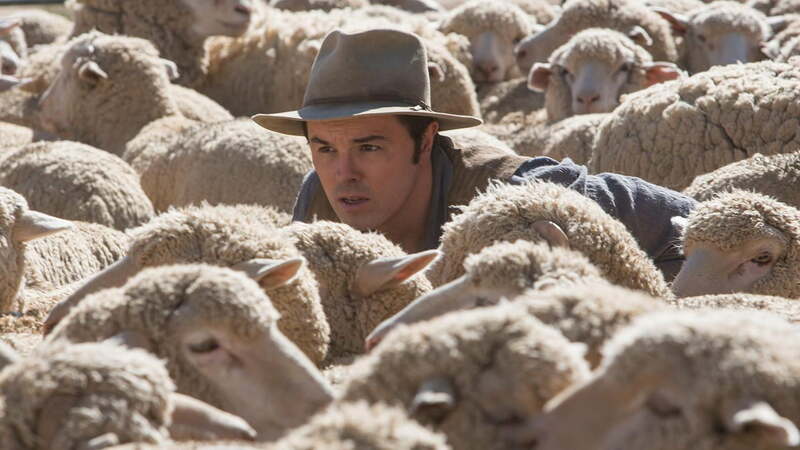 While it’s true that Hollywood might not be able to make a Mel Brooks movie today, one thing that A Million Ways To Die In The West makes abundantly clear is that we’re fortunate Hollywood doesn’t feel the same way about a Seth MacFarlane movie. This Saturday, welterweight champion Terence Crawford will defend his title against former junior welterweight champion Amir Khan at Madison Square Garden. Here's how you can watch this highly anticipated pay-per-view event.